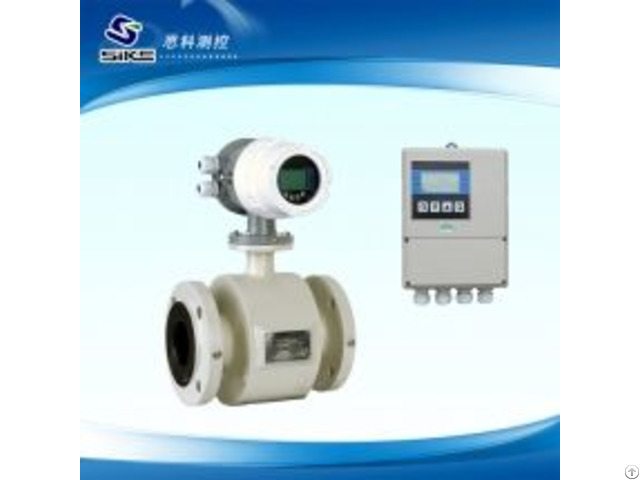 SKLD type electromagnetic flowmeter is the intelligent electromagnetic with research and development, which adopts domestic and foreign advanced technology. Electromagnetic transducer with high-speed central processing unit (CPU) and the features of rapid computing speed and high precision, reliable performance measurement are in both Chinese and English menu.Electromagnetic Flowmeter is divided into one type of electromagnetic flowmeter and split electromagnetic flowmeter, Insert electromagnetic flowmeter. Sensor uses non-uniform magnetic field technology and special magnetic circuit structure. Magnetic field is stable and reliable, and the circuit structure reduces the volume, The sensor can reflect the traffic change timely and effectively, and have a stable value of measuring water, sewage, slurry, pulp, acid, alkali, salt slurry liquid and food, etc. 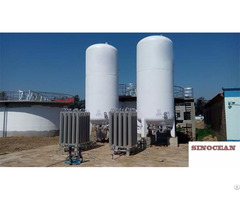 There are lots of wide applications in the petroleum chemical industry, metallurgy, coal, water conservancy project of water supply and drainage, sewage treatment etc. The electromagnetic flowmeter has two types: the compact and the sensor for remote transmitter. Business Description: Henan SIKE Measurement and Control Technology Co., Ltd., is a joint-stock company established in accordance with the modern enterprise system. 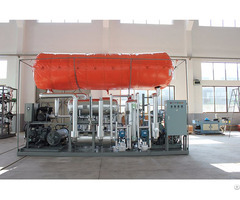 The company is located in Kaifeng, the largest flowmeter base in China. It is a high-tech enterprise specialized in studying and producing of flow meters and level guages. Efforts to create 'SIKE FLOWMETER' brand has always been our pursuit and goal. 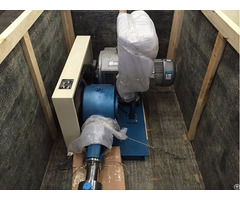 Standardized management, strong technical force, advanced machines ,improved testing process, are our reliable guarantee of the product quality and service.